Receive the Archivision Library cataloged in VCat! 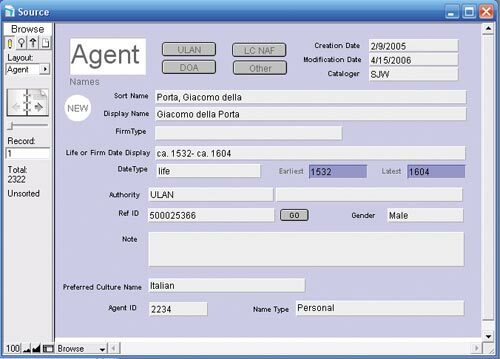 VCat is a free cataloging utility written in FileMaker Pro that is VRA Core 4 and CCO compliant. VCat is capable of exporting and importing data in both the Core 4 XML format and in an easy-to-use flattened csv (comma separated value) format. Quickly and efficiently start up both your cataloging system and your digital collections by requesting the Archivision Library in VCat. All Addition Modules are also available in this software. 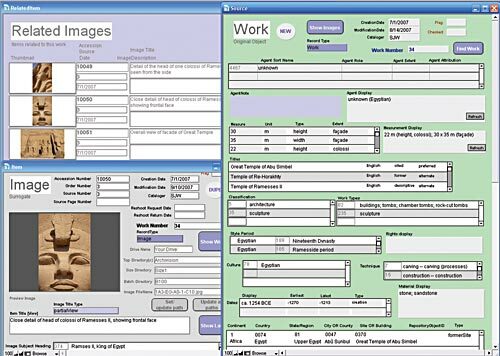 Developed by Susan Jane Williams, a recipient of the 2007 Nancy DeLaurier Award given by the Visual Resources Association in recognition of her work with VCat, the database itself is free to all. Users must have FileMaker Pro, version 7 or later, to open and use the database. VCat uses multiple authority files and references the Getty and Library of Congress vocabularies and subject headings. VCat takes advantage of FileMaker's ability to have multiple windows open at once. VCat can export Core 4 XML of all records. This is an excerpt of a sample record. Archivision toll free: 877.655.9855 / fax: 866.222.4370 copyright © 2018 Archivision Inc.